Our Maine genealogists are available to research on location. They will find and analyze the best records available to further your family history research. They can search the archives and libraries in Maine, as well as help you with other special requests. Our researchers are available to visit local archives and libraries to access unique record collections to help with your research. Below is a list of a few of the archives our Maine researchers have access to. The Maine Franco-American Genealogical Society’s library contains information on French Americans, or those American citizens who identify themselves as having full or partial French ancestry. Their archives hold over 1,700 volumes that consist of marriage records from Canada, Maine, Massachusetts, New York, New Hampshire, and Vermont. The Loiselle Marriage Index, which holds over a million marriage records and over 70 percent of Catholic marriage records from before 1900, can be found here as well. The Main Historical Society has been collecting information on the history of Maine since 1822. The Brown Library is home to over 100,000 books and 2 million manuscripts that date from the 1400s to the present day. There are original and transcripted records here that include Portland births, deaths, and marriages from before 1892. Most focus on Cumberland and York Counties. University archives, including photographs, paperwork, catalogs, etc. The Farmington Public Library has over 1,700 works in their Genealogy Room. These include town histories, published and unpublished family histories, and local newspapers. The library also allows for access for certain databases that hold their vital records and cemetery transcripts. The Bangor Public Library contains genealogical and historical sources that focus on the history of Bangor. Additionally, they hold records of the Penobscot Valley, as well as other regions throughout the state of Maine and the New England region. The library has birth records from Bangor that date from 1795 to 1917, death records from 1800 to 1892, and marriage records from 1834 to 1892. Their military records include records 1812 and the American Civil War documents. An index of the Bangor Daily News and local yearbooks can also be found at the Bangor Public Library. The Stephen Phillips Memorial Library is the research center for the Penobscot Marine Museum. Their collection contains books, manuscripts, photographs, nautical charts, maps, and boat plans. The main focus of the museum and its library is maritime history, but they also have collections on Maine history and genealogy. Some of these articles are records of shipping companies, ship registers, logbooks, journals, and a biographical index of Maine citizens. The Skidompha Public Library is known for its outstanding genealogical collection, located in its Lincoln County Genealogy and History Center Room. Their collection is best known for the information it holds on Lincoln County history and genealogy. Its archives also contain articles on other areas of Maine, New England, and the United States. The type of items range from cemetery records, maps, periodicals, scrapbooks, censuses, town histories, and 257 family histories and genealogies. The Folger Library Special Collections Department was developed in 1970 to serve as a repository for Maine-related material. The department aims to collect every available printed material that contains biographical or historical works of Maine and its citizens. Other articles of interest in the Folger Library include collections about early Maine settlers, fisheries, Acadians, ships, and shipping companies. This library is a regional United States government document depository, and collects select Canadaian and United Nations documents as well. This archive contains birth, marriage, and death records (1923 to present). This archive contains records of births, deaths, and marriages on a state-wide level in Maine (1892 to 1922). The Oxford County Maine Registry of Deeds has many genealogical records. There are other excellent resources for genealogical research of Maine ancestors located in archives outside of Maine. We have genealogists working all over the country, who can investigate archives in other states for information about your ancestors. Below is a short list of a few archives outside the state of Maine our researchers can visit. Maine was considered part of Massachusetts until 1819, so many early Maine records can be found in Massachusetts archives. 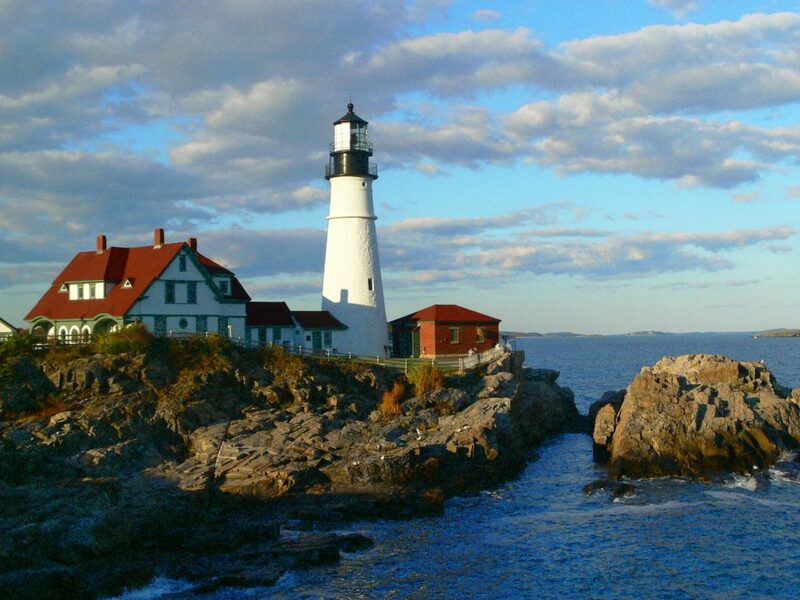 However, Massachusetts is hardly the only state to contain genealogical and historical Maine records. The Haverhill Public Library is home to one of New England’s largest genealogical collections. This collection consists of original manuscripts, books, genealogical periodicals, and surname folders. Massachusetts vital records can be located here as well, although none are dated later than 1910. There are also state and federal censuses, 9,000 New England town and family histories, and a larger amount of sources on Maine than other repositories outside of the state. The New England Historic Genealogical Society’s archives (NEHGS) are known as the best overall collection of New England vital records and probates. Their collection is also an excellent source for records from Canada, Great Britain, Ireland, and Europe as a whole. Their archives hold diaries, letters, account books, business papers, church and town records, sermons, maps, wills, and deeds. The Maine collection focuses on information on early Maine families, including unpublished family histories and many town and county histories. The American Antiquarian Society is best known for their collection of U.S. newspapers, which numbers at over 18,000 bound volumes that date from 1704 to 1820. Histories, genealogies, maps, directories, manuscripts, and information on the local Native American population are found here as well. The Maine articles include state vital records, newspapers, and town histories. Our Maine genealogists specialize in researching several types of documentation and are not limited to the list above. For more information or specific inquiries about our genealogists, please feel free to contact us.